Nymphaea Caerulea (Blue Lotus) was held in very high esteem by the ancient Egyptians. 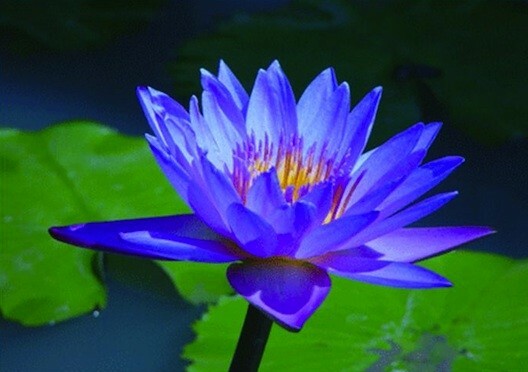 Blue Lotus was worshipped as a visionary plant and was a symbol for the origins of life. The Egyptians believed that the world was originally covered by water and darkness. A Blue Lotus sprang up from the water and opened its petals to reveal a young god, a Divine Child. Light streamed from the Divine Child to banish universal darkness. This child god was the Creator, the Sun God, the source of all life. When the Pharao known as King Tut was entombed, his body was covered in Nymphaea Caerulea (Blue Lotus) flowers. Nymphaea Caerulea (Blue Lotus) is also highly respected and by Indians and in Buddhism. When Blue Lotus (Nymphaea Caerulea) was smoked or drank after being soaked in water or wine, it acted as an intoxicant. Blue Lotus is an extremely rare plant. Our Blue Lotus is of the highest quality. Blue Lotus is related to Cape Blue Water Lily (Nymphaea capensis) and White Lotus (Nymphaea alba) with similar properties.